Our Tempe Divorce and Family Law Lawyers are dedicated to providing exceptional service to our clients. At My AZ Lawyers. Tempe Family Law and Divorce Attorneys understand the intensely personal nature of any litigation, especially family and divorce law. Furthermore, our low cost Tempe divorce lawyers strive to provide professional, proactive, and passionate marital and family law representation. In addition, the affordable lawyers have been representing individuals in Tempe, Maricopa County, Arizona for years and realize that every client, and every case is unique. Also, we devote our time and resources to learning what makes your case special, and work to find the best possible resolution for your case. The welfare of you and your family is at the forefront of our Tempe family law practice. When you seek the assistance of a trusted Tempe family law attorney, you better the chances of a positive outcome in your family law issue, be it: child custody, divorce, child support, alimony, or other family law matters. The aftermath of your family court proceedings will often have a direct and profound impact on the rest of your life. Our Tempe family law lawyers know the importance of Arizona family law court proceedings and decisions. Our experienced lawyers and staff are prepared to provide our clients with reliable, high-quality, family law assistance when it is needed most. Separated or divorced couples in Tempe, Arizona who have children must inevitably negotiate child support, which can be difficult because divorce is an emotional issue. At My AZ Lawyers, our Tempe family law firm works with clients to achieve a fair and reasonable resolution while making your child’s well-being a top priority. Our low cost Tempe divorce and child support attorneys will aggressively fight for the rights of our clients. Call and set up a FREE consultation with one of our lawyers today. In Tempe, Maricopa County, and throughout Arizona, it is becoming more common that parents may be incapable of properly caring for their child, due to a drug addiction, mental illness, or a myriad of other reasons. When a situation like this arises, it is possible for grandparents to obtain visitation rights, custody, and even child support for an improperly cared for grandchild. 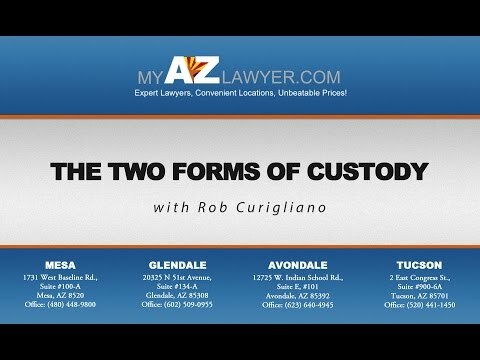 Additionally, our Arizona Family Law Lawyers in Tempe, AZ assist the grandparent in proving that they have been the psychological parent to the child and work to achieve court orders for custody. We can also assist you with your Grandparent’ Rights situations in Tempe, AZ. If you are a grandparent in Tempe or from Arizona and you feel that your rights as a grandparent are being challenged or compromised, our empathetic Tempe family law lawyers may be able to assist you. Our Tempe grandparents’ rights attorneys will listen to your individual circumstances, advise you of your rights as a grandparent, and ultimately help you proceed forth with the best course of legal action. If you would like further legal insight into your rights as a grandparent, please, contact our experienced Tempe family law attorneys today.